You'll visit kid-friendly attractions like Bondi Beach and Sea Life Sydney Aquarium. You'll find plenty of places to visit near Sydney: Blackheath (Day FIne Art & Gallery Blackheath), Katoomba (Echo Point Lookout, The Three Sisters, & more) and Norman Lindsay Gallery & Museum (in Faulconbridge). Spend the 15th (Fri) exploring nature at Sydney Harbour National Park. Dedicate the 26th (Tue) to wine at some of the top wineries in the area. And it doesn't end there: kick back and relax at Manly Beach, get curious at Powerhouse Museum, see the interesting displays at Australian National Maritime Museum, and admire the natural beauty at Royal Botanic Garden Sydney. Manchester, UK to Sydney is an approximately 25-hour flight. You can also do a combination of flight and train. The time zone changes from Greenwich Mean Time (GMT) to Australian Eastern Standard Time (New South Wales) (AEST), which is usually a 10 hour difference. 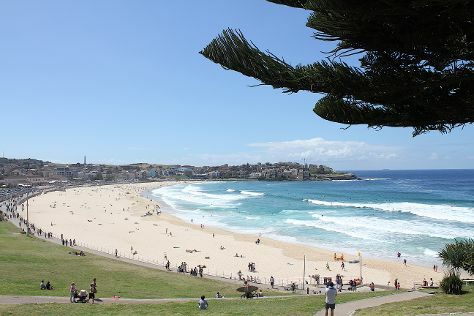 Traveling from Manchester in March, expect Sydney to be much warmer, temps between 30°C and 22°C. Wrap up your sightseeing on the 2nd (Tue) early enough to travel to Melbourne. You'll visit kid-friendly attractions like Melbourne Zoo and Melbourne Museum. 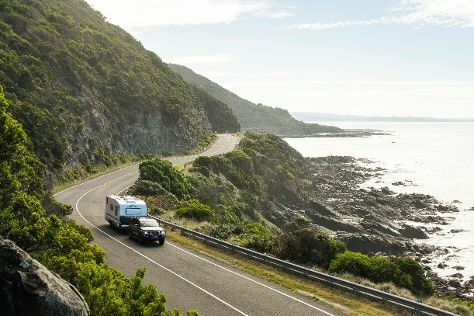 Explore Melbourne's surroundings by going to Sovereign Hill (in Ballarat), Werribee Open Range Zoo (in Werribee) and The Great Ocean Road (in Torquay). Dedicate the 10th (Wed) to wine at some of the top wineries in the area. Spend the 26th (Fri) exploring nature at Churchill Island Marine National Park. There's lots more to do: admire the natural beauty at Royal Botanic Gardens, get up close and personal with brilliant marine life at SEA LIFE Melbourne Aquarium, explore the world behind art at National Gallery of Victoria, and cool off at Booran Reserve. For reviews, photos, and other tourist information, refer to the Melbourne trip itinerary planning website . Getting from Sydney to Melbourne by flight takes about 3.5 hours. Other options: do a combination of flight and shuttle; or drive. Expect slightly colder temperatures when traveling from Sydney in April; daily highs in Melbourne reach 23°C and lows reach 11°C. Wrap up your sightseeing on the 27th (Sat) to allow time to travel back home.